Sometimes you need a quick pick me up, snack for the kids or healthy dessert. This easy and healthy recipe will meet all those needs! The main ingredient is dates and not only are they sweet and delicious but they have a good amount of potassium, fiber, calcium, iron and even protein! 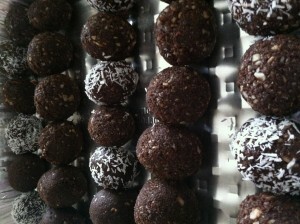 This recipe is vegan, raw, gluten free and no sugar added. The sunflower seeds, coconut and almonds pack these balls with a good amount of protein, fiber, calcium and other great vitamins! You can’t get better than that! Add all ingredients to a mixer and pulse until smooth. Roll into small balls and freeze. Take out of the freezer 5-15min. before serving. 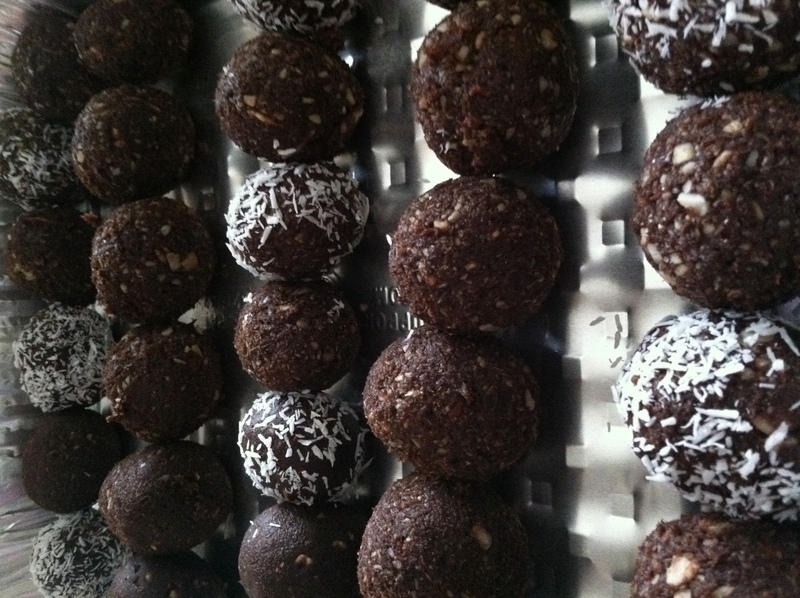 If you want to be fancy, you can roll your energy balls in shredded coconut or cocoa powder. Store in tight container in the freezer.